Fox News is starting to feel like it is being invaded by the Democrat Party and one person who is not thrilled with it is the president. After the town hall with Sen. Bernie Sanders this week President Donald Trump was irate with the network for allowing the enemy in. 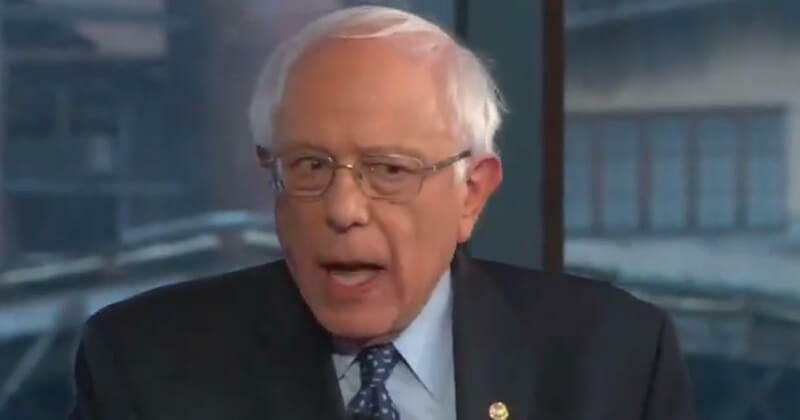 “Many Trump Fans & Signs were outside of the @FoxNews Studio last night in the now thriving (Thank you President Trump) Bethlehem, Pennsylvania, for the interview with Crazy Bernie Sanders. “Big complaints about not being let in-stuffed with Bernie supporters. What’s with @FoxNews?” he said in a tweet. And he was not the only one who took notice. CNN’s Chris Cuomo used the event to mock President Trump over his concerns. “Oddly, the president seemed offended that this was even happening. Like he was being cheated on,” Cuomo said. He then read President Trump’s tweet and placed emphasis on the word “we” in the president’s tweet. Are you angry at Fox? He then brought in host Don Lemon who said he was not surprised by the president’s response as the two did their tag team routine. “It shows you how he views the relationship that he has with state run television that we talk about all the time,” he said. Which is rich coming from him considering CNN was perceived by many to be state run television for former President Obama. “What is wrong with them having Bernie supporters?” Lemon said. “You want the people who are going to vote for that candidate in the primaries and in the caucuses. “That’s who you want there. His tweet makes absolutely no sense, as many of them don’t make sense,” he said. “It makes perfect sense if you are a jilted lover, if you’re somebody who expects loyalty,” Cuomo said to Lemon. Time to make the switch to @OANN! Two fox anchors, @TeamCavuto & @ShepNewsTeam cut off 2 guests who dared to speak about the assaults on Christian & Churches in France. According to PI-News, a German news site, there were 1,063 attacks on Christian churches or symbols (crucifixes, icons, statues) in 2018. Its was a total SHAM. Fox thinks by propping up Bernie they will gain liberal viewers. It’s all about ratings. They have sold their souls to the devil!